Feel held back by fear? Does the thought of stepping out in absolute obedience feel too overwhelming—simply too much? What Happens When Women Say Yes to God by Lysa Terkeurst was published by Harvest House Publishers in August 2018 and is our 52844th best seller. The ISBN for What Happens When Women Say Yes to God is 9780736950480. 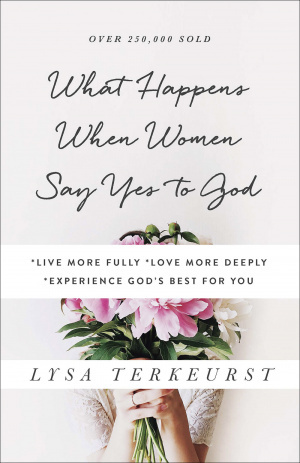 Be the first to review What Happens When Women Say Yes to God! Got a question? No problem! Just click here to ask us about What Happens When Women Say Yes to God.